Today’s S&P companies’ international revenue represents 52% of their yearly revenue stream. (Goldstein, 2015) This globalization has forced and incentivized companies to develop cross-cultural teams to penetrate emerging markets and expand in existing markets, as well as increased the interdependence, economic, social, technical and political, between nations. Also, globalization has required multinational organizations, to identify and select appropriate leaders for these entities, and to manage groups with culturally diverse employees (Northouse, 2016) Millennials will hold leadership positions within these multi-national companies and will be leading employees with diverse cultural backgrounds. These young leaders will need to project specific managerial behaviors to be successful in this diverse cultural team environment. It has enabled users to interact and generate user-generated content, such as blogging, wiki’s, forums, etc. Good examples of this type of technology utilization are Facebook and Twitter. The term Web 2.0 originated from the O’Reily Media Web 2.0 Conference in late 2004. Although Web 2.0 suggests a new version of the World Wide Web, it does not refer to an update to any technical specification, but rather to cumulative changes in the way Web pages are made and used. (O, Reilly, 2005) This ubiquitous use of Social Media as a way to communicate and solve problems has shaped Millennials into a fast paced, immediate reaction and transparent manager, who feels technology can be a tool for a leader to utilize in almost any situation. While technology plays an important part within a Millennial managers leadership portfolio, other cultures may not be as open or accepting of their transparency with regard to professional and personal lives, as well as their inner-team and managerial communication styles. The GLOBE research program, which stands for Global Leadership and Organizational Behavior Effectiveness, was initiated by Robert House in 1991, involving more than 160 investigators and measuring the responses of 17,000 managers in more than 950 organizations, representing 62 different cultures through the world. (Northouse, 2016) GLOBE researchers identified six Global Leadership behaviors and then measured those behaviors from most desired to least desired in ten different geographical locations throughout the world. The ten different geographic segments are Eastern European, Latin American, Latin Europe, Confusian Asian, Nordic Europe, Anglo, Sub-Saharan, Southern Asia, Germanic Europe and Middle-East. (House, 2004, Northouse, 2016) These leadership traits combine to produce the most desired leader, given the culture represented. Each of the ten different geographic sectors require a different combination of leadership traits to be most effective. Charismatic/value-based leadership reflects the ability to inspire, to motivate, and to expect high performance from others based on strongly held core values. Team-oriented leadership emphasizes team building and a common purpose among team members. Participative leadership reflects the degree to which leaders involve others in making and implementing decisions. Humane-oriented leadership emphasizes being supportive, considerate, compassionate, and generous. 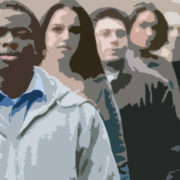 Autonomous leadership refers to independent and individualistic leadership, which includes being autonomous and unique. Self-protective leadership reflects behaviors that ensure the safety and security of the leader and the group. House, R. J. (2004). Culture, leadership, and organizations: The GLOBE study of 62 societies. Thousand Oaks, CA: Sage Publications. American Millennials have been raised in a collaborative, open sharing environment where the line is blurred between those in charge and those who are following. This “horizontal” outlook of the world has entered into their workplace communication as young leaders, with varying degrees of success and failure. (Steinwart, 2009) As leaders, they have brought their inclusiveness and collaborative style of communication across multiple platforms of technology to the workplace and enabled a holistic form of the traditional team environment. American Millennials, have had significant successes in business startups and technology innovation. Companies such as Facebook, Snapchat and Instagram were started and are run by, Millennials in senior leadership positions. The technology industry, which is currently dominated by Millennials, has had a tremendous effect on society around the globe and has fundamentally changed the way people view the world and their respective work roles. Millennials style of communication translates well into companies that hire and promote services and products primarily to Millennials, but it is still difficult to accurately predict whether this open sharing communication style will lead to their long-term success or failure as leaders. In comparison, Global leaders display traits and behaviors that are based on the cultural differences of geographic locations. Each respective region rewards a different combination of leadership traits and consequently leaders must demonstrate a different combination of the six leadership traits to be most effective, depending on their team’s cultural background. For purposes of this paper, the researcher has interpreted American Millennial leadership traits, detailed earlier, to match those characteristics of the GLOBE study, using some interpolation. By combining the American Millennial leadership traits with the GLOBE traits, it enables a comparison to be made between the two using common criteria. American Millennial’s leadership behaviors are most associated with the following Global Leadership Traits, as defined by the GLOBE study: Humane-Oriented, Participative, and Team Oriented. Using a nominal scale to assign numerical values to the six different Global 7 Leadership Traits, (1=Autonomous, 2=Self Protective, 3=Charismatic, 4=Team Oriented, 5=Humane, 6=Participative) and then comparing this to the GLOBE study which measured the desirability of each trait; and then ranked in order of importance all six Global Leadership Traits, for each of the ten different geographic locations. Based on scoring American Millenials would appear to be best suited to lead teams within the following geographic regions (from most suited to least suited). This ranking reflects the desirability of the following behaviors, Humane, Participative and Team-Oriented, as being most desired traits for a leader within the respective region. These leadership traits are most closely aligned with American Millennials behaviors and could help organizations understand and utilize the strengths Millennials possess, when building international teams. While this research is not a definitive assessment of American Millennials leadership capabilities throughout different regions of the world, it does show that certain Millennial leadership traits might be more effective in certain geographical areas based on cultural similarities and desired leadership traits within that respective culture. Espinoza, C., Ukleja, M., & Rusch, C. (2010). 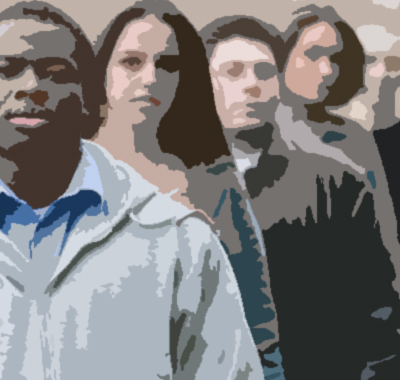 Managing the millennials: Discover the core competencies for managing today’s workforce. Hoboken, NJ: John Wiley & Sons. House, R. J. (2004). Culture, leadership, and organizations: The GLOBE study of 62 societies. Thousand Oaks, CA: Sage Publications. Northouse, P. G. (2016). Leadership: Theory and practice. Thousand Oaks, CA: Sage. 7th Edition Phillips, S. (2007). A brief history of Facebook. Retrieved March 23, 2016, from http://www.theguardian.com/technology/2007/jul/25/media.newmedia Steinwart, M. C. (2009). Can You Hear Me Now? A Phenomenological Study of the Net Generations Workplace Communication (Doctoral dissertation, Phoenix) [Abstract]. (UMI No. 3448400) Tapscott, D. (1998).